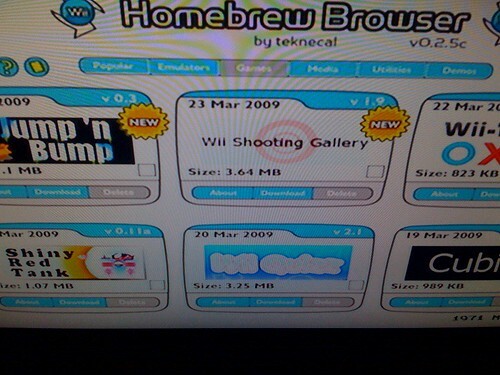 Find your verison number of the Wii software, we found this information by navigating to the Wii button on the main menu, located in the bottom left corner of the screen. 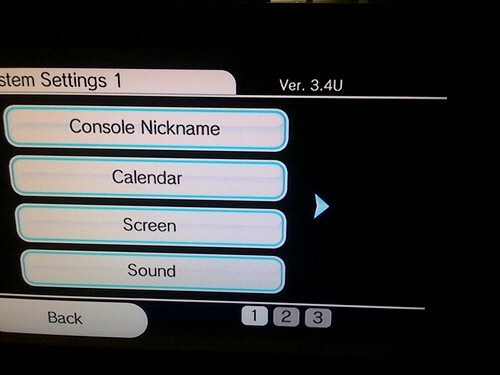 Then clicking on "Wii Settings"
You should see your version in the top right corner of the "Wii System Settings 1" m enu. This is where you will find the version of the twilight princess hack you need to run. And also this is where you will download the DOL file via "the_homebrew_channel-1.0.1.tar.gz". You will need a program such as 7zip to unzip this file later. After downloading "twilight-hack-v0.1-beta2" onto our PC, we're going to need to get a saved file going on the twilight princess game we rented from Block Buster. Load up the game and create a player. Once the game gets to the first video sequence we used the (-) key to skip past the intro. Then we pressed the (+) key while in the game to bring up the menu to save. Once the game was saved, go back to the Wii's main menu (home button). Now we can copy our saved game onto the sd card. You can do this by pressing the Wii button from the main menu of the Wii. Then clicking on Data Management, Save Data, then Wii, Then finding the Zelda icon from the array of saved games you may have. Once you've found the Zelda icon, click copy and it will ask you if you want to copy it to the SD card. Once you've copied it, go ahead and remove the SD card from the Wii system and put it in your PC. Open the zelda hack zip file that was downloaded earlier and copy they private folder into your SD card. (If it asks you if you want to copy and replace, say Yes.). Then find the tar file you download earlier. Navigate through the directories until you get to the boot.dol file. Then copy that to your SD card too. Now, we can put it back into the Wii. While we're next to the Wii pull out the game disc and check which version you have. You can find which version of twilight princess you have by flipping over the disc and reading the teeny holographic print on the data side. You can check http://wiibrew.org/wiki/Setting_up_your_Wii_for_Homebrew to ensure you use the right twilight hack. Now that you have your SD card with the modified files back in your system and you twilight princess game in the drive. 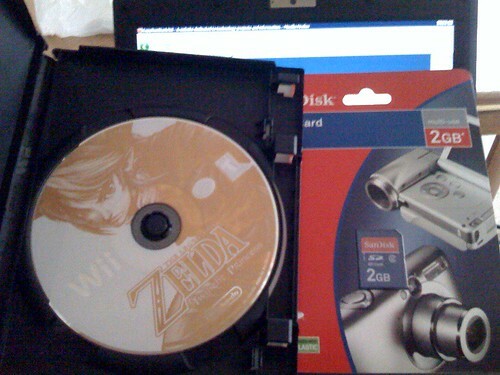 You will first need to ERASE your current twilight princess saved game on the Wii. Then you'll need to copy the new saved file you created into your wii directory. So press the Wii button from the main menu, navigate back to the wii saved games are and this time click on the SD card tab in the top right section of the screen. Here you will see three versions of the twilight hack, USA, EUR, and JPN. Our version of Zelda Twilight Princess was "RVL-RZDE-0A-0 JPN" so this means that we will use "America (USA)" and TwilightHack0. So we select Twilight Hack USA from the SD card saved games, and then press the copy button. Now we can load up Zelda again, and then load the hacked saved game. You'll have a few to choose from. From our version mentioned earlier we will load TwilightHack0. Once the game loads, you need to use the nun chuck's joystick control to move. Then you will see some text appear. After the hack loads a disclaimer will pop up ensuring you didn't pay for this software. Press 1. Press 1 again and once again and again and again. These are just prompts acknowledging the installer's status. 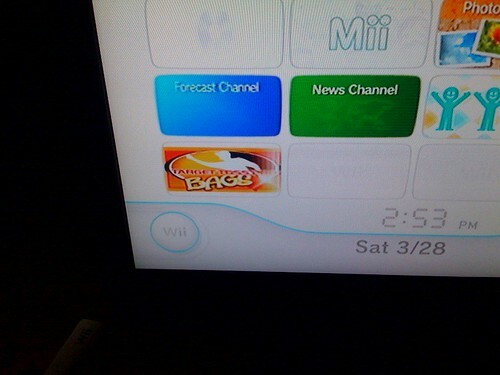 Once complete, the wii Will reload and you will see a "the Homebrew Channel" on the main menu. Now, if you haven't already, setup your Wii with internet connectivity. With the Homebrew Channel installed, we no longer need any of the items left on the SD card. For our setup, we left them on just because. Now, you could scour the internet looking for games and apps, but there is currently an app called "Homebrew Browser" that makes it easy. Once downloaded, create a folder on your SD card called "apps"
Then, extract the contents of the homebrew browser zip file into the apps folder. Then put the SD card back into the Wii and launch the Homebrew Channel. Select the Homebrew Browser from the list(it may be the only item on the list as in our case). Now you can download games straight to your SD card from the browser! Have Fun! Um i dont have PC only Wii & Internet Channel so then how i get it!????? ?